Looking for a Mario Kart style game for the PC? Then look no further than SuperTuxKart. SuperTuxKart free pc game is a free racing video game that is open source under the GPLv3 license. 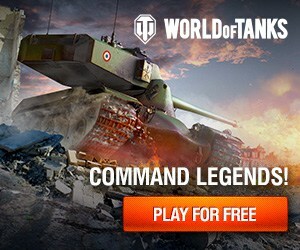 It is completely free to download, install and play. SuperTuxKart is available for Linux, Windows and MacOS computers. While the game may look like Super Mario Kart, it has a set of features all its own. SuperTuxKart free pc game includes its own set of racers with more than a dozen to choose from. Characters include the logo/mascots from many free/open source projects. Linux’s penguin, Tux and Mozilla’s Thunderbird to name a few. In addition to the unique characters SuperTuxKart includes a plot and story mode. The game features local multiplayer the latest release. There are plans to include a multiplayer game mode in a future release. Finally, the game and supporting website also provides a track-making tutorial. Players can then submit their tracks to the community making them freely available to everyone. SuperTuxKart continues to be updated regularly, since the game was release in August 2007. 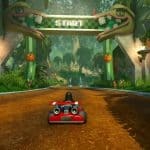 In early 2017 SuperTuxKart was greenlit on Steam digital distribution platform but it has yet to become available on the platform. SuperTuxKart is open-source making it completely free to download and play. There are no micro-transactions, fees or anything else that would require you to spend money in order to play. The safest and best place to download SuperTuxKart is from the game’s official website, which contains downloads for multiple versions of the game including Linux, Windows, Mac OS X and Android. In addition to the these downloads, the site also offers the original source code for download as well. How Free Is SuperTuxKart ? SuperTuxKart is free! You should not have to pay anything in order to play.